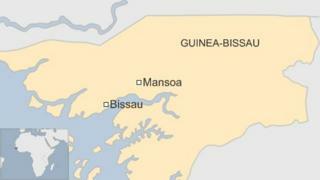 At least 22 people have been killed after their vehicle struck a landmine in Guinea-Bissau, police say. They were travelling to a funeral on Friday when the incident occurred 60km (37 miles) north-east of the capital. Police say 19 people were killed instantly and three others later died from their injuries. Hundreds have been killed by landmines left over from the country's war of independence in the 1970s, as well as internal conflicts in the 1990s. The strength of the blast tore the vehicle in two, Reuters news agency reports. It was travelling near the town of Mansoa in the north of the country when the explosion occurred.